Earlier this week the Australian Federal government released its twice-yearly update of occupations that it has added (or removed, or shifted to some other list). As one might expect this has led to a flurry of enquiries from people whose occupations have suddenly appeared; in particular, on the Medium and Long Term Strategic Shortage List (MLTSSL). In many cases, we have had to reluctantly dampen their enthusiasm as they understandably, but mistakenly, believe the Australian government has opened the door for a number of occupations. They potentially have if a lot of preconditions are met. It is important to understand how the Australians set pass marks for ‘nominated occupations’ (you get ’in’ to Australia by demonstrating that you meet the qualifications and work of one particular occupation). Being on this list often means very little in terms of your chances of actually qualifying to live in that country. Take as an example a Food Technologist. For reasons that the Australian Federal government never explains, it has decided that it wants to add this occupation to the MLTSSL. It is logical to assume that they want more Food Technologist, right? Not necessarily. It is interesting that on the day the Federal Government released its lists, the state governments did not do likewise although one State has added it to their list (with conditions). Would you be interested in living there though? It is important to understand that Australia operates both national and state occupation "wish lists”. To have any chance of success many applicants on the MLTSSL often need the support of one of the states or territories. The fact that the pass mark for each nominated occupation "floats" (it can go up or down) means there is an element of prediction required in this game to determine whether someone has an acceptable chance of qualifying or not. The minimum selection point for a Food Technologist, or any other occupation on this list, is 65. In its pure form, selection is based on supply and demand - with all Food Technologists competing with each other for one of the available places within the annual quota set aside for this particular occupation. The greater the number of available places and the lower the demand, the closer to 65 the pass mark should be. Where annual quotas are not met, the calculation is simple, the pass mark should be 65. The reality is there are very few occupations where the annual quota is being filled, yet there are no occupations with pass marks of 65. It is almost certain that Food Technologist are going to require at least 70 points to get a Permanent Resident Visa. Is this a case of the Australians not being able to do mathematics? Although I don't rule that out, the answer is actually more likely to be found in politics. The Australians publicly state that they will select around 2000 Expressions of Interest in each draw, but of late they have been selecting less than half that number. The demand for those 2000 places has not fallen. The result of lowering the numbers selected is to drive pass marks for each occupation higher. The Australians are a couple of months away from national elections, and over the past 18 months, immigration has been the hot button issue in virtually every poll. The voters are concerned about immigration and there is no doubt that the good folk of Melbourne and Sydney are rightfully asking the question of why they should have to absorb several million more people when their own children cannot afford to buy a house in their own home city. Melbourne is rightfully proud of its place as one of the most liveable cities in the world but that liveability is clearly under threat as more and more people settle there. Another really big issue this election is energy costs. Australia is firmly tethered to fossil fuels but has also committed to the Paris Agreement, and a little bit like the Americans, have a powerful fossil fuel lobbying industry. Despite the reality they have a lot of sunshine, and lord knows enough hot air blowing every which way, at least at a Federal level this has led to little commitment to renewable energy through todal, wind and solar. For the naysayers, Elon mask recently saved South Australia further electricity outages by installing Tesla batteries on a commercial scale. Another resource they are also short of, at least where it is often needed, is fresh water. 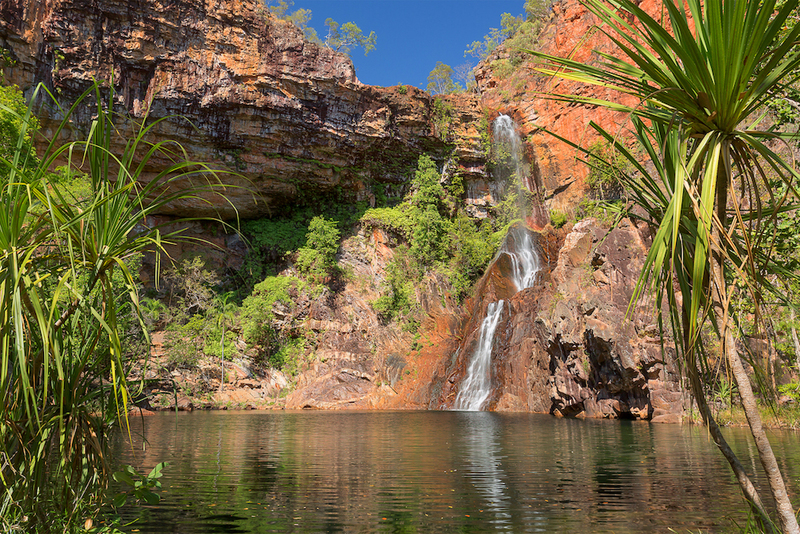 Rainfall in many parts of Australia is very high but it doesn't always fall where it can be easily or economically ‘piped’ to where it is needed or available to be used for hydro-electric generation. That means increasing water and energy prices which is also very sensitive as an election issue. (Everyone likes the idea of going "green" unless it hits them in the pocket it seems). As Professor Tim Flannery argued some years ago, Australia is already overpopulated and has and carrying capacity of perhaps 8 million people. The population is now 25 million. There are those that trash his research but it is solid and reflects the reality that Australia is by and large arid and consistent rain does not fall where the demand is highest for it. As a consequence, there is serious competition over allocation of water rights between rural and urban consumers. Intensive commercial farming is destroying soils and draining aquifers and adding more and more people does not seem sensible in terms of a sustainable future. As a short-term measure, perhaps, the current administration has proposed forcing more temporary residents to spend five years in "regional" Australia before they can secure their permanent resident visas and move to one of the big capital cities (Adelaide being the exception). Of course, assuming they lose the election, this policy may be rejected or adopted by the next Administration. My bet, given the sensitivity of immigration to the average Australian, is whichever government sits on the Treasury benches in May, will see through this proposal, irrespective of what they might be saying out on the hustings. That will mean those entering on temporary resident visas will need to spend five years out in the regions, up from the current two years now. All political parties I suspect are going to continue restricting entry to a lot of the skills that Australia needs if only to further bring down house prices in cities like Melbourne and Sydney (although tighter lending requirements by banks, applying the law restricting foreign buyers more tactically, already seems to have caused a 10% drop in home values in Sydney this year alone with Melbourne not far behind). Over the past 18 months then we have also seen a tightening bias in terms of the number of Permanent Resident Visas being issued and the government has not met its own yearly quotas as a result. They have all but eliminated the “work to residence” pathway for around 400 highly skilled occupations. For those people, with employment in Australia but who cannot get enough points to qualify or who are not working in an occupation on one of the ‘right' lists, they can work for two years, with the possibility of a two year renewal, but then they will be told to leave the country. Not might be, will be…. This has all come about because of the politics of immigration and I have always said that few countries are as sensitive to the politics of immigration than Australia. Late this week it does seem that some of the state government's got the memo and some of the occupations that have been added to the MLTSSL have started appearing on state lists. That is great news because the pass marks for those who are able to garner the support of the states is 65. In this game there is light years between 65 and 70 as a point score. I would caution however anyone getting all excited then about seeing their occupation on the the latest MLTSSL. It's a positive sign but you should proceed with caution as nothing in this game is ever as it might first appear. On 11 March certain changes were made to the lists of occupations suitable for different subclasses of visas in Australia, and if you have been reading these changes as reported in the media, you would be excused for being confused. The problem is that the media reporting treats these changes as being changes to a single list when in reality there are different lists that apply to different types of visas. The purpose of this blog is to highlight some of the changes that have occurred to general skilled migration visas (these visas are points tested and not dependent upon obtaining sponsorship/ by an employer in Australia. As most of our clients tend to be overseas and don’t hold offers of employment in Australia I’ve concentrated on the changes to the lists of occupations for general skilled migration visas and have not concentrated on the changes that have occurred to those visas that require sponsorship/nomination by an employer in Australia. The general skilled migration visa list consists of three separate schedules or parts namely the Medium and Long-Term Strategic Skills List (MLTSSL), the Short Term Skilled Occupation List (STSOL) and the Regional Occupation List (ROL). The advantage of being in an occupation that is on the MLTSSL is that if one scores sufficient points one can qualify for an independent permanent resident visa that doesn’t require you to be sponsored by a state government. There are eight states or territories in Australia that all produce list of occupations in short supply in that particular state for the current immigration year but the independent visa doesn’t require your occupation to be in short supply in a particular state, it’s generally assumed, because your occupation is on the MLTSSL that your skills are in demand across the whole of Australia. Occupations that appear on the STSOL and the ROL require state sponsorship; in other words there has to be a need for your occupation in a particular state. The difference between the two schedules is that the regional occupation list confines applicants to qualifying for visas that require them to spend at least two years living in "regional Australia". The lists of occupations are reviewed twice a year. Sometimes lists don't change, but on other occasions, there are significant changes to the lists such as the one that occurred yesterday. Some of the occupations had previously appeared on the MLTSSL, were removed and now added again and other occupations hadn’t previously appeared on this list. The implications of your occupation appearing on the MLTSSL are potentially significant and the fact that so many occupations have been added to the list is evidence of the government’s support of a program that essentially picks winners from overseas (in other words those people that because of their occupations and points are, in the opinion of the Australian government likely to settle well in Australia) and also the strong growth in the Australian economy with unemployment rate at just 5%. If your occupation isn’t amongst those named in this blog don’t despair, the lists of occupations available for general skilled migration visas are extensive. There are 212 occupations now available for the independent visa and 292 additional occupations available for state-sponsored visas. D.A.M.A. - the hottest four letters in Australian immigration circles this month. It stands for Designated Area Migration Agreements but it should stand for Dishonest Attempt at Marketing Australia. With some justification my industry occasionally gets it in the neck from politicians and bureaucrats for misleading marketing, promises made that cannot be delivered and generally shonky behaviour. We have built IMMagine around the simple premise of under promising and over delivering. It works - I’d suggest the State Governments of Australia and the New Zealand Government take a leaf out of the same book. Now that competition is heating up among the Australian State Governments for an ever diminishing number of skilled migrants (as national politics sees effective cuts to permanent resident visa numbers and restrictions on work visa numbers), we are starting to see big budget marketing campaigns designed to attract migrants. I have no issue with marketing, I take issue with dishonest and misleading marketing. We have been utterly deluged since the Government of the Northern Territory announced their “We will pay you $15,000 to move to our northern paradise’ (aka the arse end of nowhere). You know the old saying, ‘If it sounds too good to be true, it probably is’? This is a classic case. Just as the ‘white farmers from South Africa’ found out last year when they were all aflutter that the Aussies wanted to help (only) white farmers. Where is that programme to grant refugee status to them now? While this DAMA programme does present new opportunities for a small number of people with certain skill sets in a limited number of occupations, this is not a permanent residence visa and no individual can directly apply for a work visa under the scheme without a job first. The DAMA is accessed under the Temporary Skills Shortage (TSS) Visa stream which allows employers in the territory to sponsor overseas workers under this special labour agreement. It simply allows businesses to employ people in skilled and semiskilled occupations that would normally not be available under the TSS. This then is not a new visa, it presents almost no change to the status quo but is being marketed as some free ticket for anyone with a sweet tooth that wants a tour of Willy Wonka’s chocolate factory. It isn’t. It is marketing, and misleading marketing at that. If, however, you are lucky enough to be offered a position, the employer will then need to get permission to offer you the job from the Territory Government (bureaucrats, rules, forms, inconsistent decision making, delays). Once (and if) that is approved, you can then proceed to apply for the appropriate temporary Visa and sponsorship (bureaucrats, rules, forms, inconsistent decision making, delays…). It is not simply a case then of applying to the Northern Territory because your occupation is on their current (short) list. There are quite a few steps that need to be undertaken, not least of all the challenge of finding an employer who is willing to sponsor without the potential worker being in Australia, and not having the appropriate work Visa. As I have blogged about before getting a job will almost certainly require you to be in Australia, in the State, and actively pursuing jobs and tackling our old chicken and egg ‘no visa no job, but no job no visa’ friend — the employers overwhelmingly won’t be interested in talking to you if you don’t already have PR or work rights. It is also important to appreciate that this visa is not a permanent residence Visa but rather a temporary work visa to help businesses fill a temporary shortage. A pathway to permanent residence may also be available, however it will still be dependent on meeting the requirements for PR under some other residence policy. So if you were to pursue this you need to understand that if you get a job, if the employer is allowed to employ you and if you get a work visa you’ll be in Australia for perhaps three years and if you do not qualify under some other residence pathway at that time you will be leaving. You need to be satisfied that the work visa and that particular occupation presents a pathway to a Permanent residence visa as well and given the Aussies change the rules as often as they change Prime Ministers, I am not sure I’d want to sit in some stinking hot outback town of 250 sweaty malcontents, hoping the Federal Government will let me stay on in three years time. If you were to take on such risk surely you’d head for one of the States that has people and much more economic activity in it and increase your chances of success, wouldn’t you? Still, those businesses that do exist in this part of Australia need to be able to operate and some are finding shortages in some occupations so for a tiny minority of people looking for a (radically) different lifestyle, this might work. For the vast majority it is just another cynical marketing exercise with little appreciation that migrants are people, taking risks, and this sorry programme will lead to nothing more than bitterness and disappointment for all parties (including the few people that live in NT who presumably are funding this exercise). Although we don’t (yet) have regional or state visa pathways for visas in NZ, it is shocking that millions of dollars a year is spent by the New Zealand Immigration Department on marketing this country as a destination. I am constantly emailed ‘complaints’ from migrants who fell for the sweet talk and marketing about skills shortages and needs for this skill and need for that skill who found for reasons I could have told them before they left home, was never going to lead anywhere. Skills shortages and the types of migrants employers will consider are not always closely related. Pitching to millionaires assumes they cannot find us online. Having Governments marketing to migrants but also acting as visa gatekeepers has always been a clear conflict of interest. One part of the Department says, ‘Come on in the water’s fine’ while the rest are a bunch of hungry circling sharks. If the Northern Territory is such a fun, vibrant and economically prosperous place, migrants who know how to Google would already have found it. It’s long since time the Immigration Departments of both NZ and Australia were honest and upfront with people and acting like us - telling potential migrants what they need to know and not what they want to hear. If something sounds too good to be true, it almost certainly is. One of the categories of occupations most needed in Australia and New Zealand is the 'tradie' or tradesmen, yet recent changes to Australia’s general skilled migration visa program have made it more difficult for the tradie to qualify and will encourage more of them to move to New Zealand. Australia’s loss will ultimately be New Zealand’s gain. I’m referring to Australia’s general skilled migration visa program – these visas are points tested and don’t require job offers. The pass mark for these visas was increased from 60 to 65 points on 1 July 2018. If we consider how a 40 year old tradie (arguably in the prime of his working life at least from the perspective of the 57 year old author of this blog) could qualify for a general skilled migration visa he or she would need to score at least 20 points for superior English-language ability. It’s extremely difficult to obtain superior English-language ability and one would have to question whether having a superior knowledge of English is likely to result in a better quality of migrant for Australia. I don’t think impeccable English is going to make that tradie more employable or more skilled or a more valuable employee or ultimately contribute more to Australia’s talent pool than a tradie with an adequate (but not superior) grasp of the English language. I also tend to find tradies don’t tend to score as well in the English-language tests acceptable to Australia as many other professional occupations and I think the reason for this is because these English-language tests tend to be in formats that favour occupations that use skills such as report writing and the critical examination of paper-based information whereas tradesmen are often solving difficult problems but they tend to be more practical in nature without necessarily having to write reports in English relating to the problem solved. Tradesmen also obtain 10 points for a trade qualification whereas degrees attract 15 points notwithstanding the fact that tradies tend to be more in demand than many degree level professional occupations. New Zealand on the other hand also operates a points system called the skilled migrant category but the major difference is that in New Zealand of the 160 points required 80 points can be acquired with an offer of employment outside the Auckland region (and possibly more points for high remuneration). Whilst trade qualifications score lower than degree level qualifications in the New Zealand framework (40 versus 50 points) the 10 point differential is marginally smaller in the New Zealand context. Whilst New Zealand does require primary applicants to sit an English-language test a 40 year old tradesmen would only have to score an average of 6.5 on the IELTS test compared to 8 out of 9 on each of the four bands if he wanted to score sufficient points for a general skilled migration visa for Australia. New Zealand tends to be more generous as far as points for age is concerned with applicants still scoring points for age until 55 (the cut of age for a New Zealand skilled migrant category application is 56 years of age). This compares quite favourably against Australia’s cut of age of 45 for general skilled migration visas. Please don’t think that these (incorrect in my opinion) policy settings as far as Australia is concerned are indicative of a lack of demand of tradesmen in Australia, to the contrary, they still remain one of the most employable types of occupations it’s just that I don’t think the architects of Australia’s general skilled migration visa policy have thought through these implications as far as middle-aged tradesmen wanting to emigrate to Australia. I think Australia has overplayed its hand and we are bound to find greater shortages of tradesmen in Australia especially when one considers that the Australia government has also made it more difficult and more expensive for employers to employ workers on work visas (known as a temporary skill shortages visa). With the number of online job advertisements in New Zealand increasing by 0.5 per cent in the month of August and 7.4 per cent over the year New Zealand has the capacity to provide jobs and pathways for tradies who can no longer qualify for sufficient points under Australia’s general skilled migration visas and it is New Zealand that will ultimately triumph in the competition for scarce skills. And the place where you belong, contrary to what the song would indicate, is not West Virginia, but Geelong, Adelaide, Hobart or any other part of Australia that is “regional”. 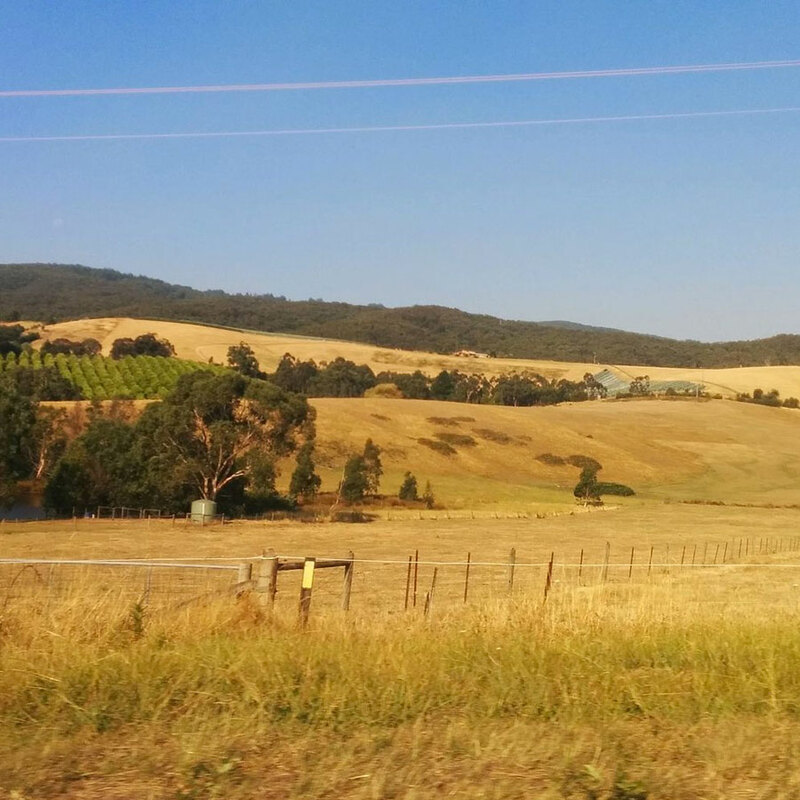 Recent changes to Australia’s skilled migration program is going to have the effect of placing more of you on country roads than ever before. Figures just released evidence that Australia accepted approximately 162,000 permanent migrants in 2017/18, down from about 183,000 the year before, and well below the 190,000-a-year quota. Net migration was 240,000 but this includes those who are not only arriving as permanent residents but those on visas allowing a stay of 12 months or more, which is a fair number of people to accommodate in terms of accommodation, transportation, healthcare facilities and education facilities. We also learned this week that Australia’s population is set to reach 25 million in August 2018 some 24 years earlier than predicted in 2002. Australia’s larger cities such as Sydney and Melbourne are suffering from congestion, infrastructure that cannot support a growing population, rising property prices (although having said that, at time of writing property prices in Melbourne and Sydney are forecast to decrease by 1 – 2%) and in the context of these issues migration to the larger cities is said to be adding to the burden. Yet on the other hand, Australia has a shortage of skilled people in regional areas. Regional areas would constitute some of the smaller cities in Australia such as Adelaide and Hobart as well as anywhere outside of the metropolitan areas of Melbourne, Sydney, Gold Coast, Brisbane, Perth to name a few. These growing vacancies are occurring across a range of job opportunities. An increase in the pass mark for general skilled migration visas (points tested visas that do not require offers of employment) from 60 to 65 points on 1 July of this year. This may not sound like a significant increase however as state sponsorship for the regionally sponsored 489 visa is worth 10 points and state sponsorship for the non-regionally sponsored 190 visa is worth 5 points there is an added incentive for many more people to seek regional state sponsorship. The addition of the regional occupation list which stipulates that certain occupations can only be sponsored by state governments for 489 visa applications. A number of positions normally available for independent 189 applications has been made available to those New Zealand citizens living in Australia for a period of five years more, earning a threshold income and paying tax although this type of change really just means swapping profiles of applicants from skilled migrants overseas without job offers to Kiwi’s who are onshore with job offers and paying tax. As most of these changes have occurred in the months April– July 2018 they are to soon to have caused the reduction in permanent migrants in 2017/18, from 183,000 to 162,000 and their effects both in terms of the annual quota of permanent migrants as well as the effects on diverging migrant flows from metropolitan to regional areas is yet to be felt. 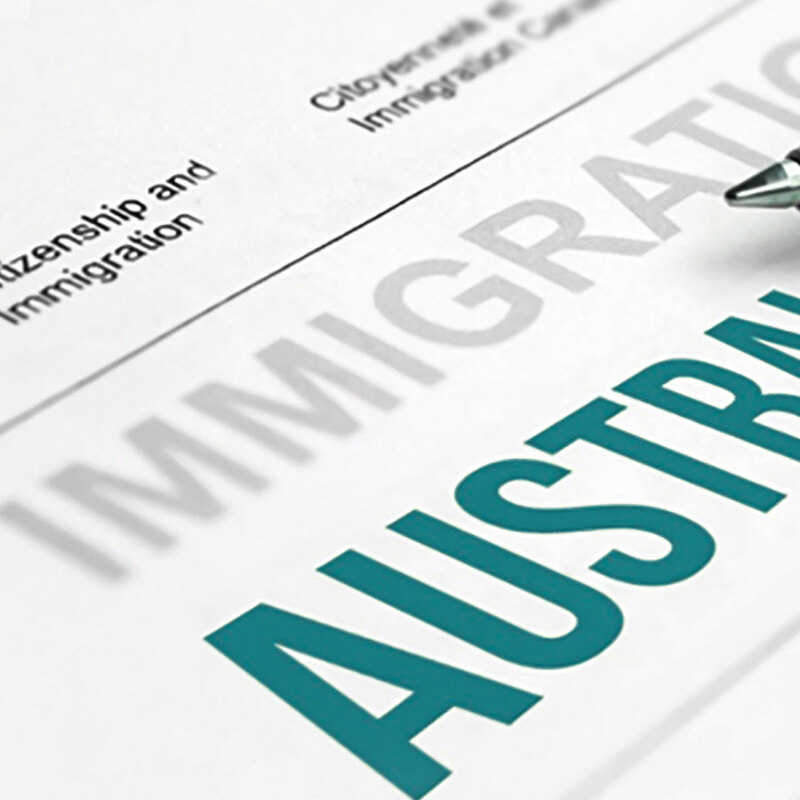 In fact it may take some time before the true effects of these changes are felt because of transitional provisions available to those on work visas in Australia at the time these changes came into effect. Those on temporary 457 visas still have a greater number of occupations to transition to permanent residence and it could be as much as 4 years before the full effect of the changes take place. It’s therefore ironic that we are having a debate about migration numbers in the context of some of the harshest changes to immigration policy that I have seen in the last nine years. It is, however, overdue that we should have an informed debate about population size and whether the vision for Australia is a “big” Australia, or “sustainable” one as some of the terms that politicians have been bandying about and to then design in immigration policy designed to meet that target. Instead of what we have been doing the past is to come up with an arbitrary annual quota because in the absence of a formal population policy, Australia’s immigration policy is its de facto population policy. For the foreseeable future I expect that there will be more Van der Merwes, Singhs and Lees found enjoying the country lifestyle of Australia. Your Parents in Australia - Is It Possible? It’s a tough decision to immigrate, that often has broader implications for other family members that may want to join those immigrating to Australia. One of the most frequently asked questions we receive in consultations are “what are the chances of my parents being able to join us?”. This blog isn’t meant to be an exhaustive examination of all of the options available to parents but covers some of the more mainstream visa types. Given the length of processing time of permanent residence parent visa applications, these days parents need to also consider short-term temporary visas such as visitors visas that enable them to live in Australia on a temporary basis whilst the permanent resident visa is being processed. I have provided an overview of the criteria for permanent residence as well as temporary residence in the paragraphs below. Parents must have an Australian child who is a citizen or permanent resident “settled” in Australia willing to sponsor them. It’s generally accepted that “settled” requires the sponsoring child to have been living in Australia for a period of two years prior to the parent visa application. There are basically two types of permanent resident visa for parents namely contributory and non-contributory. However given the fact that processing time of a non-contributory parent visa application is in the region of 30 years (no, really), it’s not practical to rely upon this type of visa to obtain permanent residence. As far as contributory parent visa applications a distinction is made for parents applying onshore (in Australia) and offshore. It’s called an aged parent visa because the parent who is the primary applicant has to be of retirement age. The Contributory Parent Visa is the fastest way for your parents to stay permanently in Australia. Whilst this is the most expensive option (because of the rather large “contribution” that your parents make to Australia in terms of Visa application charges) waiting times are in the region of 30 months at present. The “contribution” made to the Australian Government by way of visa application charges of approximately AUD$ 92 355 for a couple of parents may seem large however you need to bear in mind that these contributory parent Visa applications, once approved give applicants access to government funded healthcare (Medicare) and Australia is essentially bearing the risk of future medical costs which could be incurred by ageing parents. It’s estimated that total cost of parents immigrating to Australia is in the region of 3.2 billion and each individual parent is estimated at between $335,000 and $410,000 after health, welfare and aged-care costs are added to the equation. 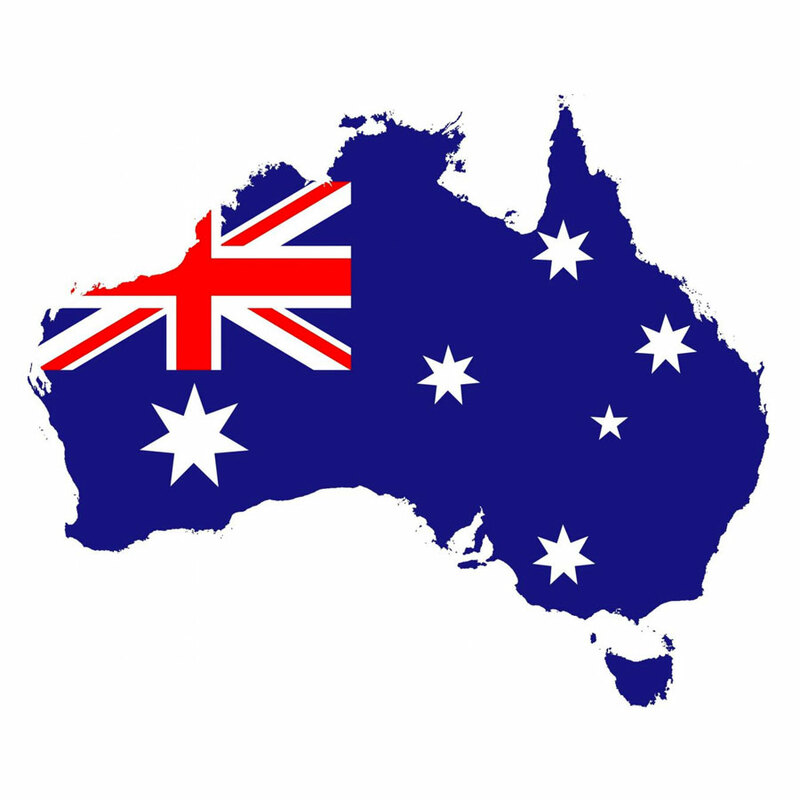 Of course you need to be inside Australia at time of application and hold a visa that does not prohibit you from filing an onshore application in Australia. I am specifically referring to those visas that do not contain a “No Further Stay condition” which would prohibit you from filing an application within Australia. Because of the relatively long processing times parents may have the right to work in Australia while they are waiting for their visa to be granted. This type of scenario would cover those parents arriving in Australia on visitors visas that do not have “no further stay conditions” and then file aged parent contributory parent visa applications onshore in Australia. Once there tourist visa expires (after a period of three months) they can then remain in Australia on bridging visas which keep them lawful whilst the aged contributory parent visa is processed. This is the offshore version of the contributory parent visa application. 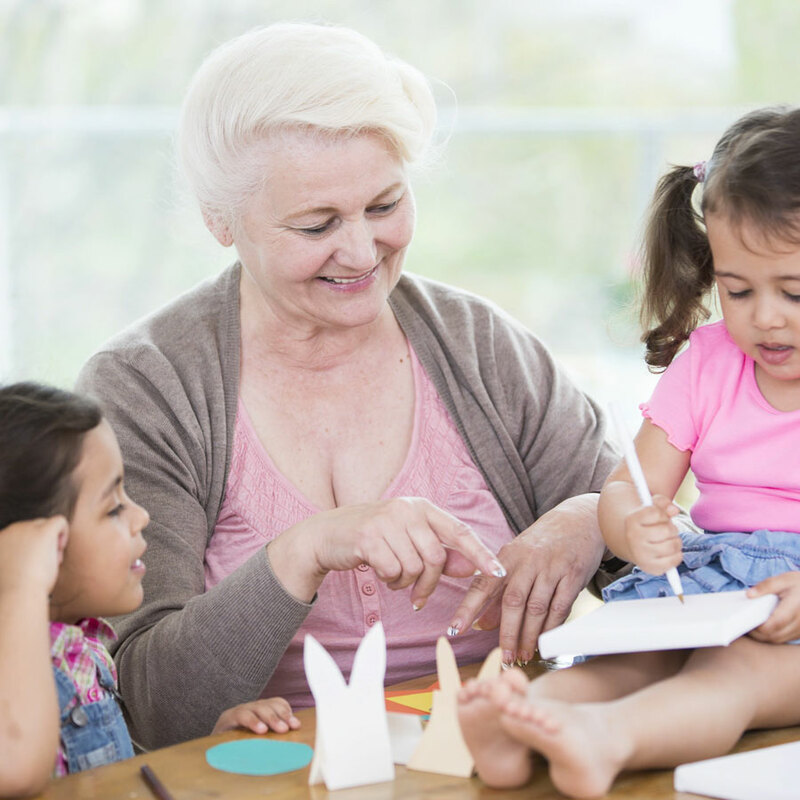 The requirements are fairly similar to the onshore version except that for the offshore version parents don’t have to be of retirement age. Because of the time it takes to process these applications (the Department currently quotes 44 – 56 months) it would be common for parents wanting to visit their children in Australia to apply for temporary visitors visas that enable them a longer stay in Australia and for these parents. They would probably apply for a Long Stay Visitors Visa (Subclass 600) which can be granted for periods of 5 years, 3 years, 18 months or just 12 months but whichever duration of long stay visitors visa your parent receives please bear in mind that these visas only allow parents to spend 12 months in any 18 month period in Australia as visitors and don’t allow parents to work. It wasn’t that long ago that I remember contributory parent visa applications being processed in 12 months and it’s quite frightening to think that this “quicker” option of obtaining permanent residence for parents has ballooned to processing times of 44 – 56 months. With the restrictive “cap” or quota applied to parent visa applications on the part of the Department of Home Affairs and the contentious issue of the actual healthcare costs of aged parents it’s foreseeable that it can only get tougher to obtain permanent residence in Australia for parents. 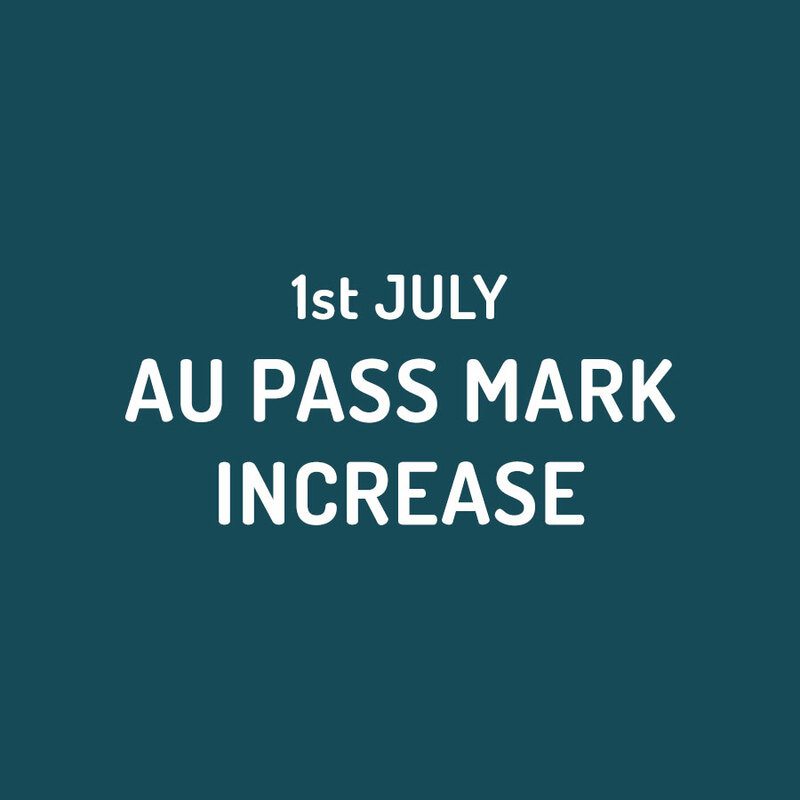 This represents an increase of 5 points over the current pass mark of 60 points and applies to all general skilled migration visa applicants who have not received an invitation to apply for residence by 1 July. 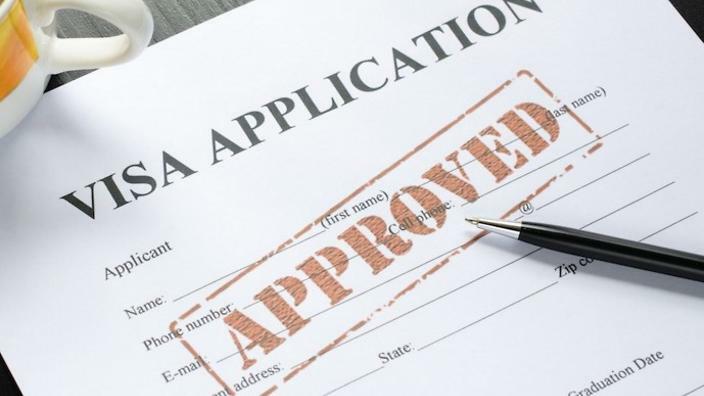 The current pass mark of 60 points applies to applicants who have received an invitation to apply for residence and manage to file their general skilled visa applications before the invitation to apply for residence expires i.e. within 60 days of issue of the invitation to apply for residence. The new pass mark has been ostensibly increased because of the high level of interest in skilled migration to Australia and the high calibre of applicants. IMMagine clients will be individually notified if affected by the increase. My piece last week was about attempting to unravel the truth behind the immigration numbers in both Australia and New Zealand. Neither country was filling its own stated numbers of resident/residence visas which suggests their respective immigration departments do not know what they are doing, demand to migrate has fallen or the numbers of available approvals had been deliberately but unofficially cut. 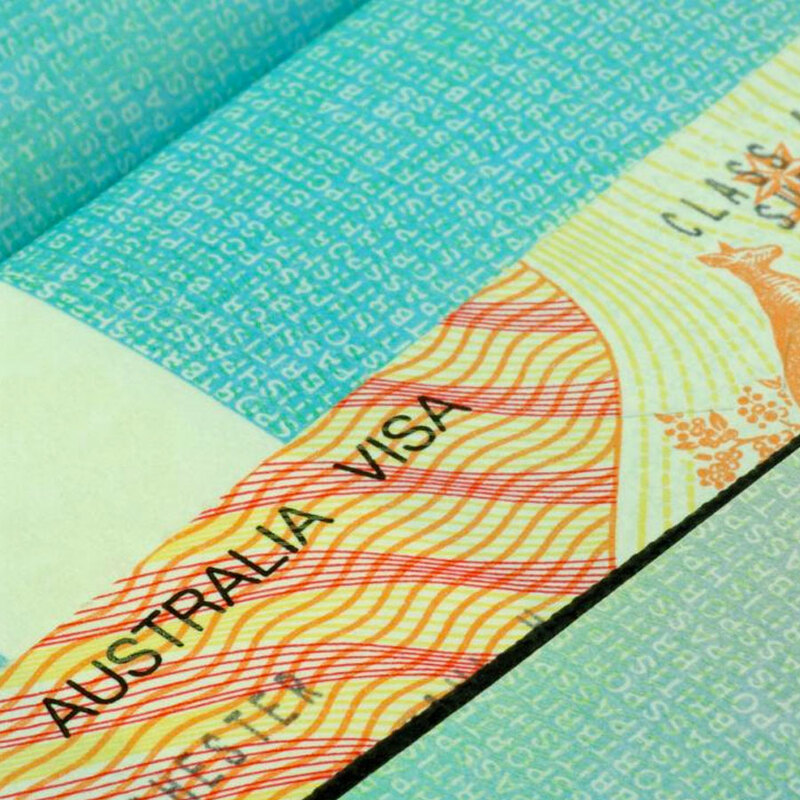 Yesterday, the Australian government announced it was, from 1 July, pushing up the minimum points to be selected and invited to apply for a Permanent Residence Visa or the Subclass 489 'work to residence' visa from 60 to 65 points. In some ways I feel like adding to last week's blog, I rest my case. The Australian Government justified this increase by quoting 'demand' and this is where I get so frustrated. There is no evidence of increasing demand to live in Australia and if there was the country would not have fallen short of its annual quota/target/ceiling of 192,000 in the current immigration year. The Government imposed artificially high pass marks around eight months ago specifically to rein in numbers and to ensure (unless they are inept) their own targets were not met. They did a good job of that. At the same time they pushed, by design or as an unintended consequence, more skilled migrants to seek the support of one of the eight states and territories which results in a, fixed, not floating, pass mark. In some ways it seems the federal government was perhaps letting the states decide to a greater extent than previously who gets in and who doesn't through their own occupation demand lists. I think the truth is the Australian Government is trying to be all things to all voters given they are back in an election cycle where immigration will once again be front and centre. Those that are against migration at recent levels will take solace from the numbers of permanent visas being issued falling, while those who see migration as both necessary and desirable will rest easy thinking skilled migrants so needed to fill labour market gaps are still welcome. How else do you explain a need to increase the points required for entry when at lower pass marks, quotas weren't being filled? While a 5 point increase doesn't sound like a lot it is going to advantage those with superior English language skills and the more highly qualified. It is going to make identifying the most appropriate occupation for your planned move even more important than ever. A few people called me out over last week's piece as being overly negative and possibly turning people off emigrating. Some thought that telling the truth is not good marketing, but I see it differently. For starters, I like to think that when people are making the biggest decision of their lives, assessing their real chances of ascending the visa mountain that migration is and getting a handle on how welcome they might be when they get there, is part of our responsibility as 'honest brokers'. Further, I despair with the dishonesty of Governments and they deserve to be called out when they lie for political gain. Rather than put anyone off engaging in the process, I hope that more people will appreciate the value we bring to the process and that in executing a strategy where every point counts, our expertise and support will be appreciated and valued. Neither New Zealand nor Australia is closing their doors, not by any stretch of the imagination, but it is clear that anti migrant rhetoric is, and for that matter always has, gained votes. I've never seen a politician campaign on the benefits of increasing migration even when the local labour market cannot fill the vacancies strong economic growth demands. So, the announcement yesterday out of Australia should be seen for what it is, a, political reaction to a country where, perhaps more than most western democracies, more votes can be gained through appearing to 'get tough' on immigration than through defending the benefits of a balanced and controlled policy. Now, arguably more than ever, if you want to emigrate to one of these countries, you need an Advisor who can cut through the political rhetoric, formulate a strategy and ensure you get what you want. Some major changes that were announced last year have come into effect as of the 18 March. These changes relate to the temporary and permanent employer sponsored visas and the General Skilled Migration (GSM) programme. Under the GSM programme, there is a shiny new list called the Regional Occupations List (ROL). This is relevant to the state/territory sponsored Subclass 489 visa. The ROL consists of occupations only available for GSM for regional areas. Some are newly added and some have been moved to the ROL from Medium to Long Term Skills Shortage List (MTSSL) or Short Term Skills Occupation List (STSOL). The state sponsorship lists have not yet been updated to reflect any changes to occupations they will sponsor for the skilled visa. 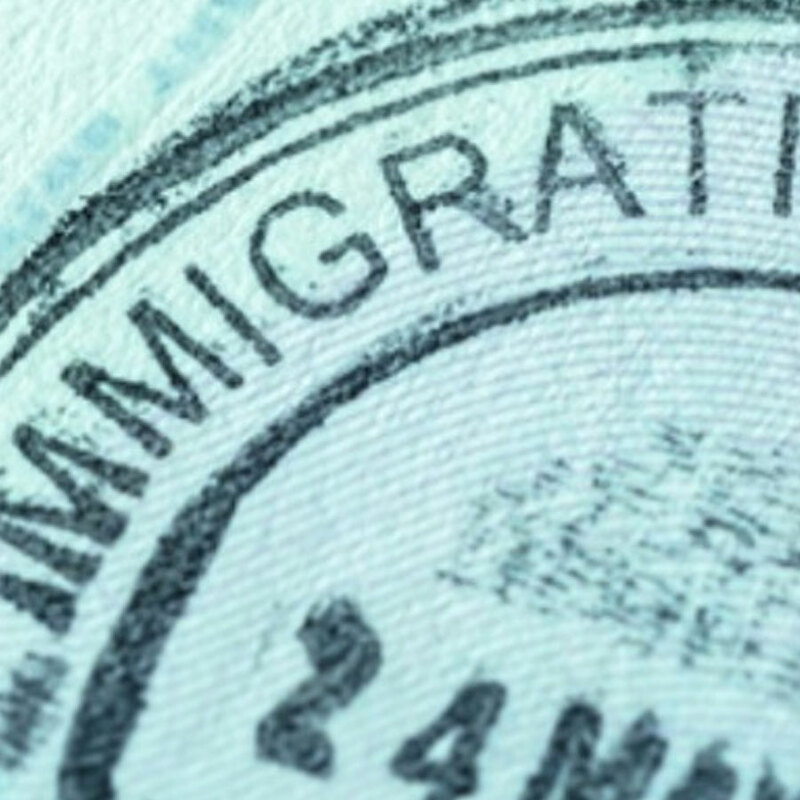 The Prime Minister in April last year announced that the work visa 457 will be abolished. This has effectively just been rebadged as the subclass 482 visa. The basis of the programme is effectively the same; i.e. businesses who cannot find talent from the local labour market can sponsor talent from overseas to fill skills shortages. However there are now a number of amendments designed to encourage employers to hire from the local labour market and make it harder to sponsor overseas workers, and to ensure that the positions that are required to be filled are in fact highly skilled. While the ability for most medium to large businesses to sponsor an overseas employee will remain unaffected, the incentive for many workers to transition to residence after a period of time has been removed. Only those who appear on the employer sponsorship Medium to Long Term Skills Shortage List will be able to transition to residence under this programme. Others will need to find another way to stay, such as family or GSM pathways, or be resigned to the fact that they will be in Australia for the short term. These changes will greatly affect the number of temporary workers in Australia, however there are a number of alternatives that can now be explored, including state sponsored nomination under the GSM programme. If you wish to know more about the changes or have a discrete 'closed' questions please don't post it below in the comments section. Here is the link to our Ask Us A Question service. To see if you qualify for any potential residence visas, please contact kane@justimmagine.com or visit the assessment section of our page for options.